All pupils are members of a house. 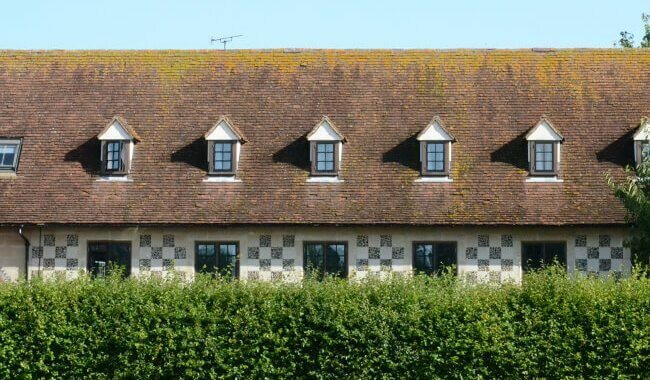 There are thirteen boarding Houses and three day Houses. 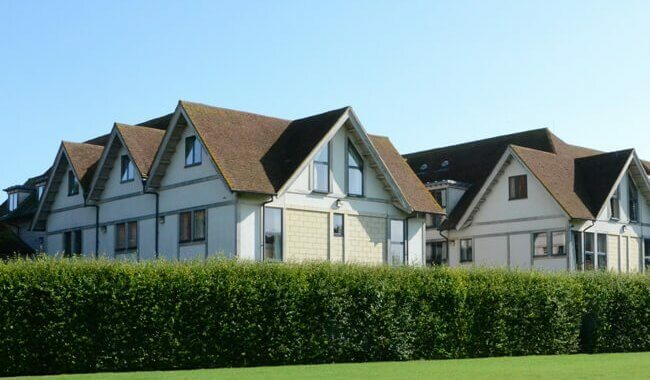 Each House is in the care of a resident Housemaster or Housemistress, who is likely to be one of the most influential people in a pupil’s school career, assisted by a Matron and a team of five or more tutors. The buildings range from Meister Omers (13th century) to the New Grange (opened in 2007) and Kingsdown House (opened in September 2015). Pupils identify strongly with their House (it is after all home for them during term) and there are many inclusive activities such as house concerts, house plays and charity fund raising events. Boys and girls boarding houses are ‘twinned’ for plays, concerts and social events. There is friendly rivalry with keenly contested inter-House sport and events such as the House song competition. However, the overall ethos of the School outweighs local differences between Houses. Galpin’s takes its name from The Reverend Arthur Galpin, Headmaster from 1897-1910. 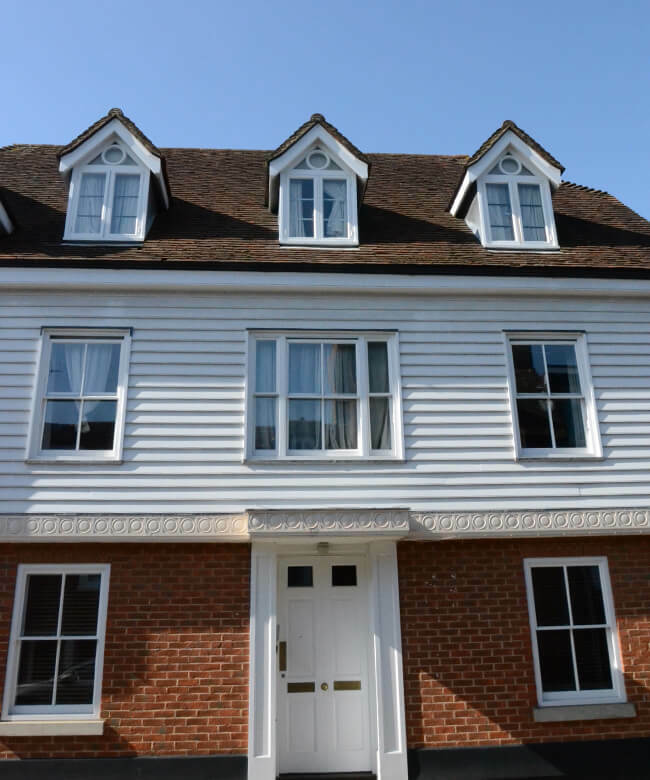 It was built in the 1860s for use as the Headmaster’s house, and it became a boys’ boarding house in 1952. Galpin’s occupies the site of the monastic Aula Nova. Part of this ancient structure, most notably the Norman Staircase, remains to this day. The main entrance is in the Mint Yard, and the garden is bordered by the City wall. Galpin’s is twinned with Harvey House. 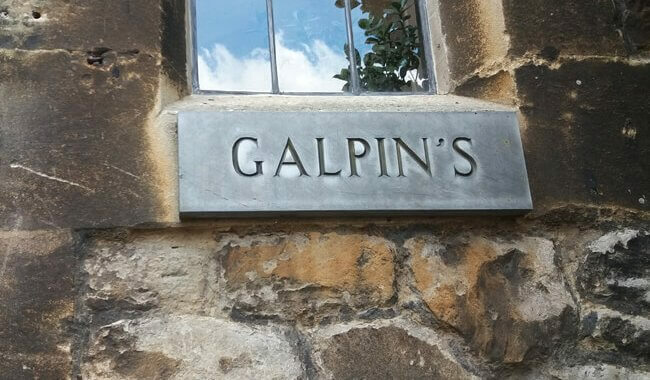 Notable former members of Galpin’s include Sir Michael Morpurgo (author of Warhorse and recently Children’s Laureate), and Jonathan Powell, Chief of Staff to Tony Blair in No 10 Downing St. 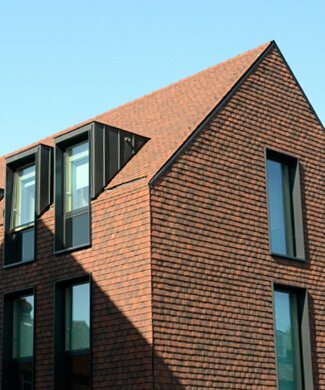 The mellow Georgian brickwork of Linacre House lies within the shadow of the Cathedral. 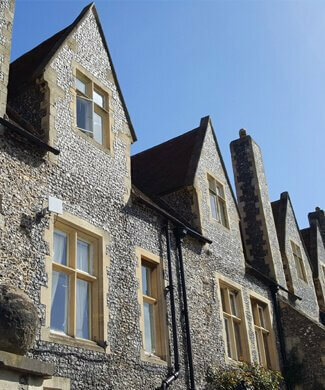 Named after Thomas Linacre, founder of the Royal College of Physicians who was educated in Canterbury, the building was originally part of the medieval Prior’s lodgings. It was later a Canon’s house and acquired its present appearance in the 1740s. When Canon Nelson, brother of Horatio, lived here, Lady Hamilton is reputed to have danced on a table in the room that is now the Head of House’s study. 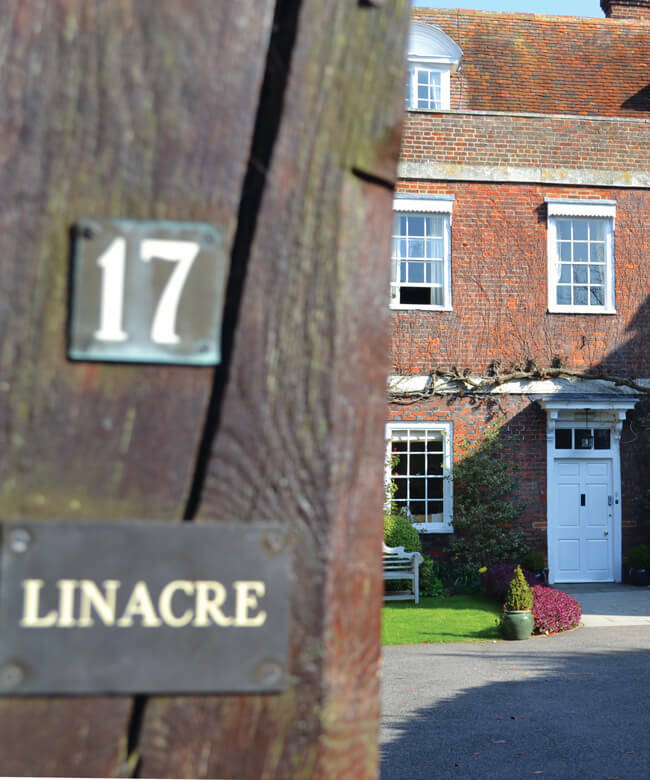 Linacre is twinned with Luxmoore House. Notable former members of Linacre include David Gower (England cricketer), and Fred Scarlett (Olympic rowing gold medallist at Sydney 2000). Meister Omers, popularly known as MO, was built in the 13th century by Cardinal Beaufort. It has had a distinguished history: Edward IV held a Parliament here in 1470, Cardinal Coligny died here in suspicious circumstances in 1568, and the royal coat of arms of Queen Elizabeth I in the hall marks her visit in 1573. MO has steadily evolved to meet the demands of modern boarding; it underwent an extensive refurbishment in 2013. 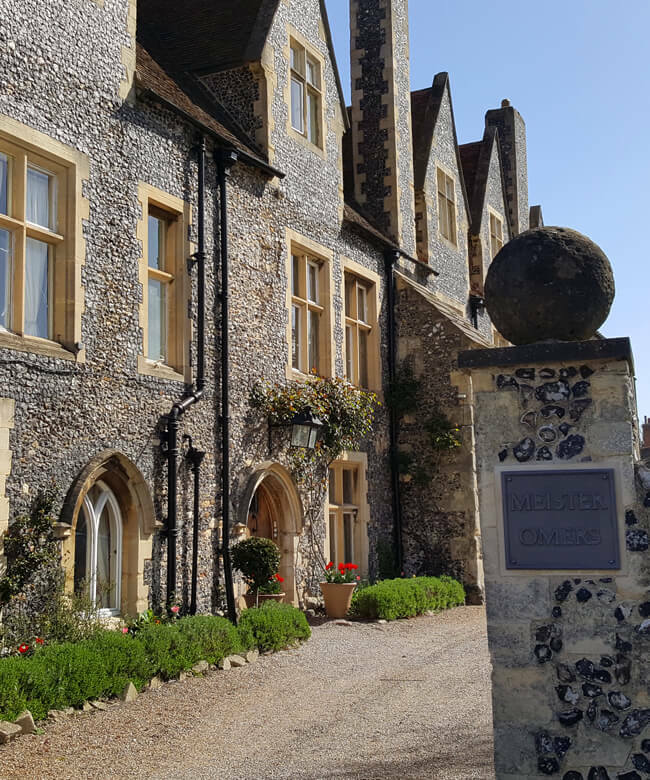 MO is twinned with Luxmoore and Kingsdown House, adjacently situated within the Cathedral Precincts. Notable former pupils include Tunku Imran (Former President of the Commonwealth Games Federation), Oz Clarke (wine expert), and James Turner (Former Team Leader of the Red Arrows). The Grange takes its name from its former home in the Precincts between 1928 and 2007. It was accommodated in a 19th century house built on the ruins of a former granary. 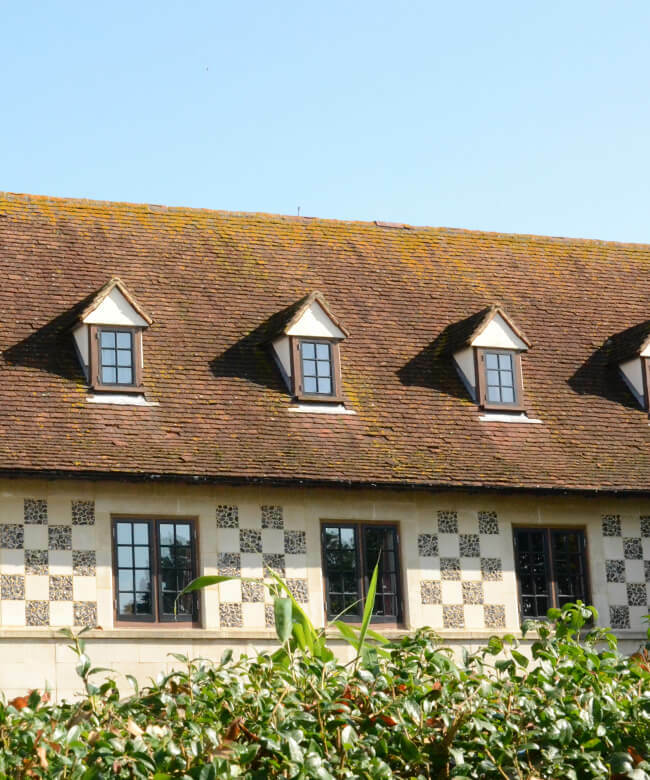 The new house was officially opened in September 2007 by Sir Patrick Leigh Fermor. The Grange is twinned with Walpole House. Notable former members of The Grange include Sir Patrick Leigh Fermor (the late distinguished travel writer), and Antony Worrall Thompson (celebrity chef). School House is the original boarding house. The present buildings were opened in the 1860s and the main entrance is situated in the Mint Yard. 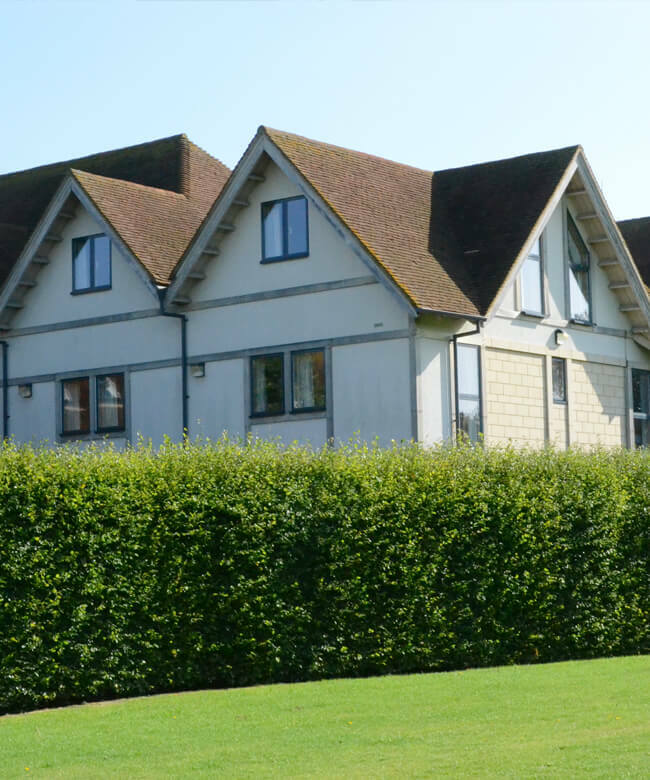 The House lies at the heart of the school with easy access to all academic departments, the Edred Wright Music School and the Dining Room. School House is twinned with Jervis House. 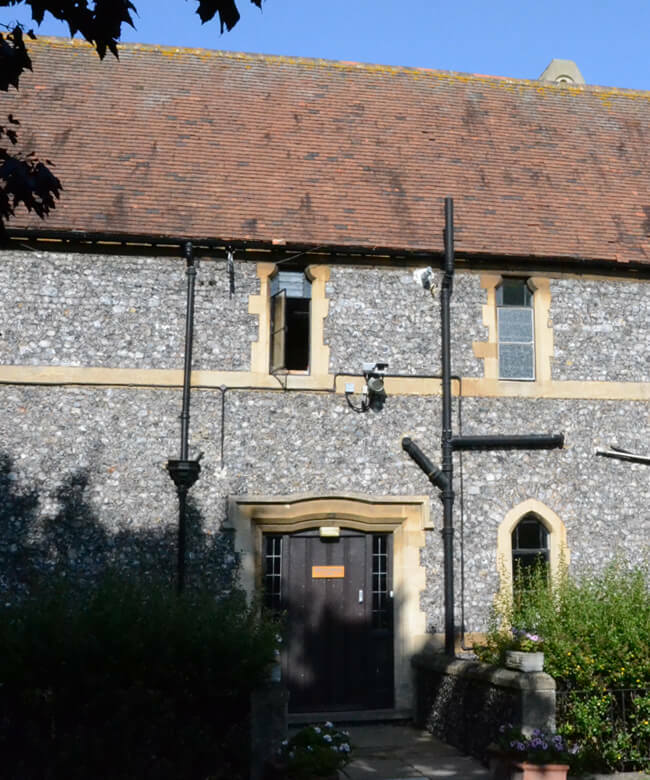 Notable former members of School House include Michael Foale (astronaut and astro-physicist), and John Lloyd (producer of television programmes such as Blackadder, Not the Nine O’Clock News and QI). Tradescant House is named after John Tradescant (KS 1619-23), the distinguished gardener and collector. 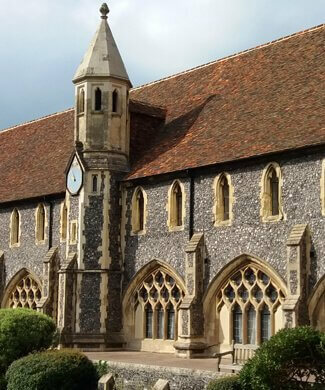 The building was designed by William Butterfield and opened as part of St Augustine’s College in 1848. 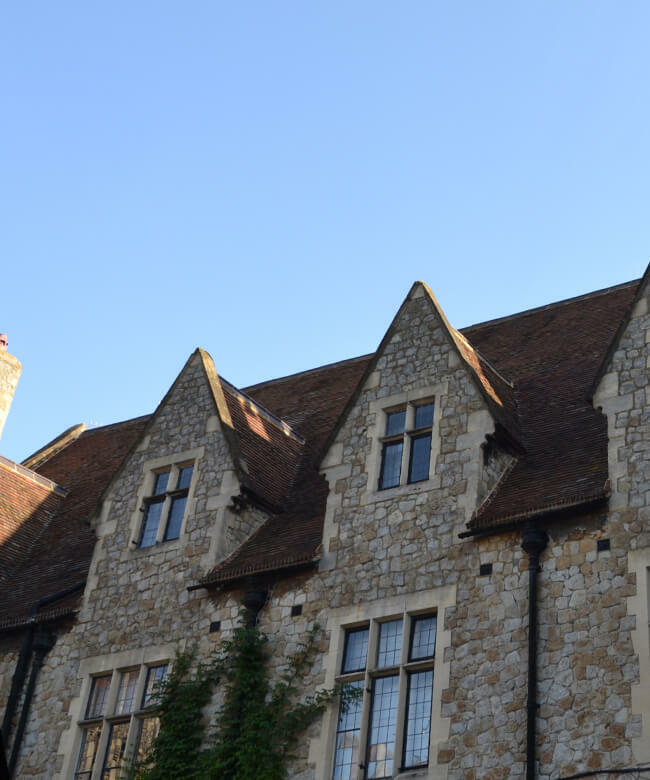 The school acquired the St. Augustine site in 1976; Tradescant House opened as a boys’ boarding house that same year. 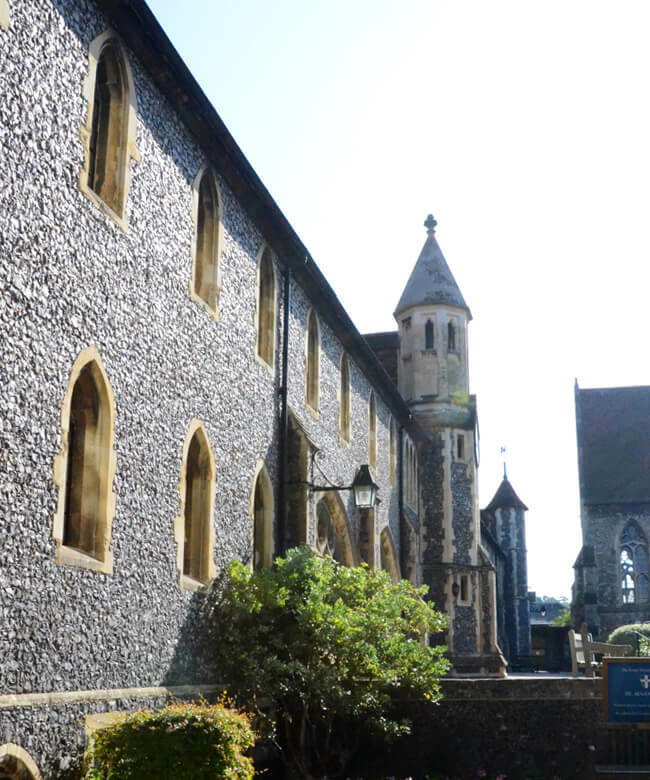 Tradescant is twinned with Broughton House, adjacently situated in St. Augustine’s. 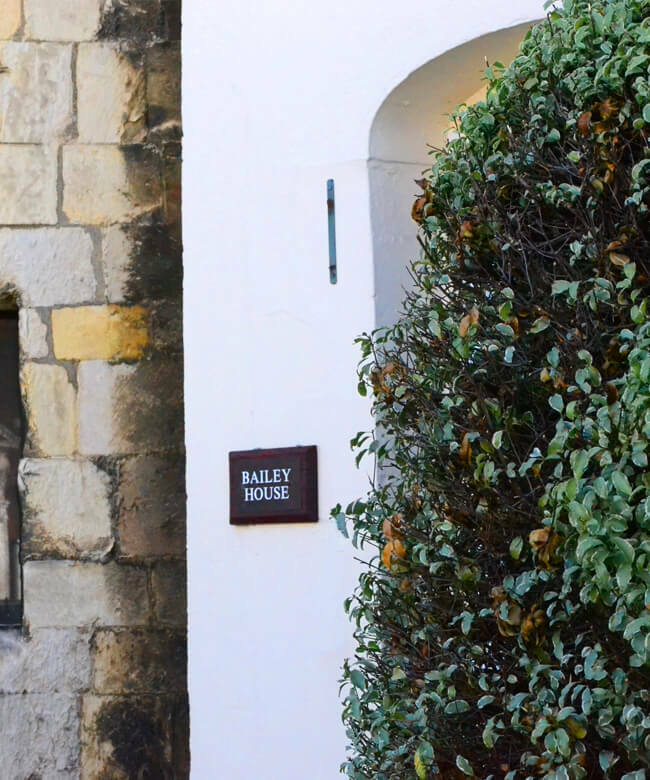 Bailey House is a specialist Sixth Form House set within the historic medieval towers and gardens of St. Augustine’s. Its name commemorates Henry Bailey, second warden of St Augustine’s College between 1850 and 1875 and an honorary Canon of the Cathedral. 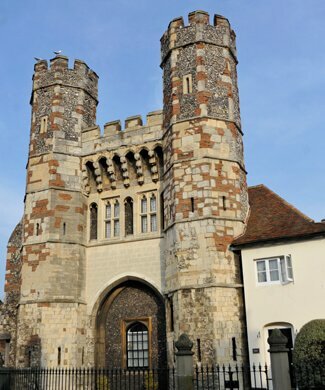 The mainly 18th and 19th century building incorporates the 14th century Abbey gate. It was used for girls lodgings from 1978 before becoming an independent house in 1990. Broughton House is named after William Broughton (KS 1797-1804), the first Bishop of Australia. The building was designed by William Butterfield as part of St Augustine’s Missionary Training College which opened in 1848. 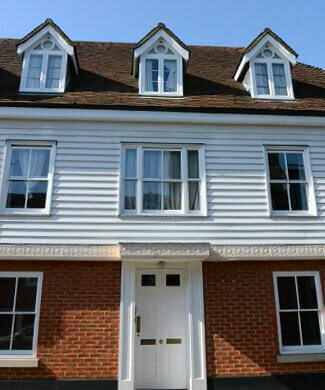 Originally a boys’ house when the school acquired the St. Augustine’s site, it became the fourth girls’ house in 1993. Broughton is twinned with Tradescant House. Notable former pupils include Sir Hugh Robertson (former MP for Faversham and Mid Kent), Blythe Masters (former head of global commodities at JP Morgan Chase) and Anna Pinnock, Oscar winning set decorator. 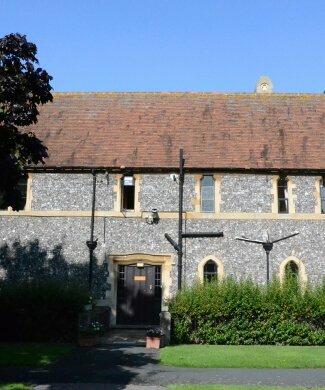 Opened in 1992 by Mrs Robin Leigh-Pemberton (Lady Kingsdown), Jervis is a purpose built boarding house, named after Douglas Jervis OKS and his sister Norah, both benefactors to the School. 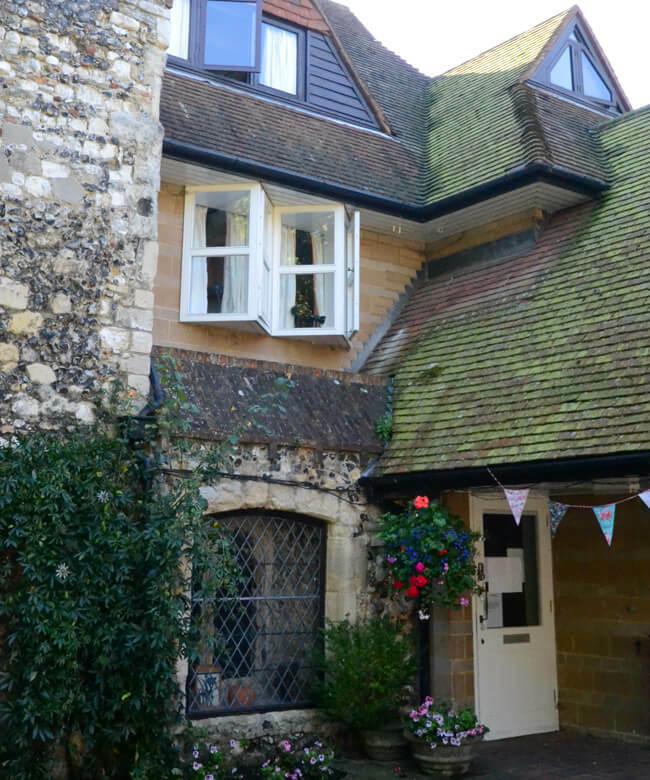 It is situated in Broad Street, but linked to the Precincts by a door through the city wall that leads directly to the Dining Hall, the Undercroft and Green Court. Jervis is twinned with School House. 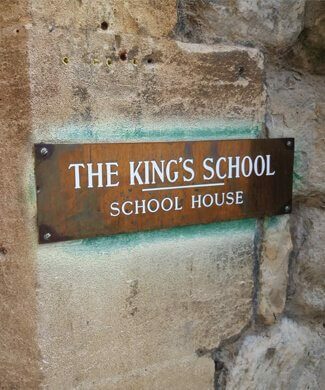 Kingsdown House became the seventh Girls’ boarding House in September 2015. 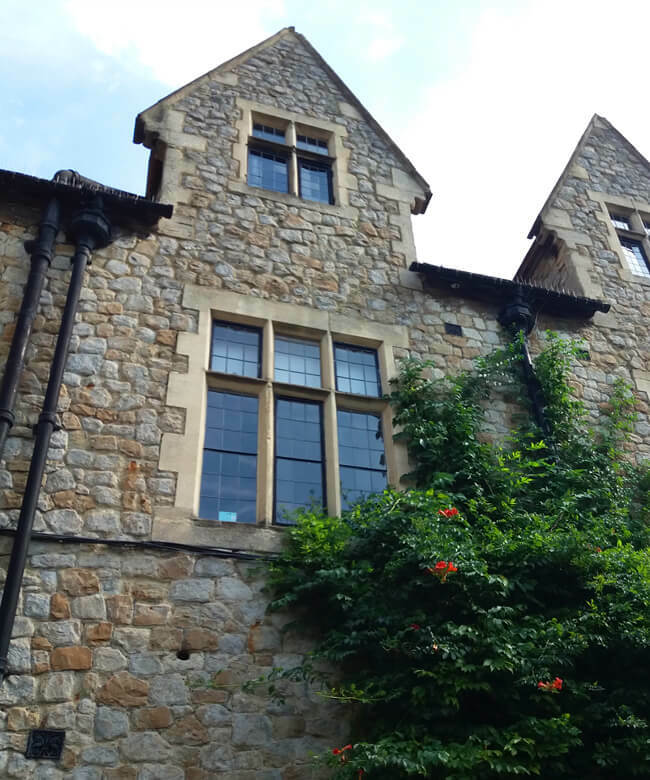 On the site of what was formerly the Diocesan Payne Smith primary school just outside the old city wall, adjacent to the Precincts, Kingsdown is close by Jervis House with whom it shares a courtyard garden. The original school building was designed by William Butterworth in 1847. 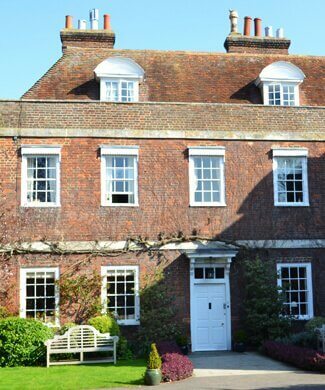 Kingsdown is named after Lady Kingsdown, Governor Emerita, who also opened Jervis House in 1992. Kingsdown is twinned with Meister Omers. Harvey House overlooks the historic ruins of St. Augustine’s Abbey. Named after William Harvey (KS 1588-92), who demonstrated the circulation of the blood, the House originated in Broad Street but moved to St Augustine’s in 1999. The new building was opened by the eminent scientist Baroness Susan Greenfield. Harvey is twinned with Galpin’s House. Luxmoore House is named after Sir Arthur Fairfax Coryndon Luxmoore (KS 1889-93), Lord Justice of Appeal. His own sundial lies in the back garden. 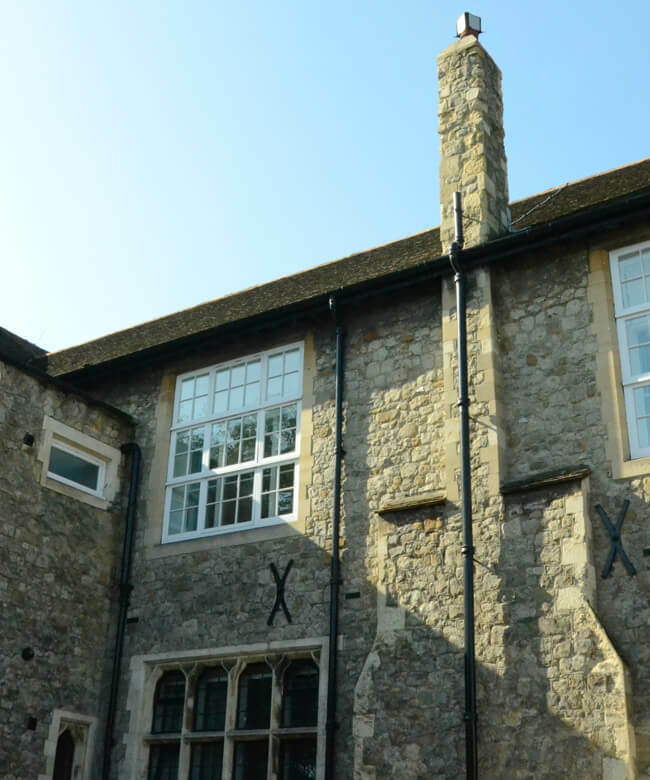 Originally a boys’ boarding house on the New Dover Road, Luxmoore moved into a purpose built house within the Precincts, opened by the Queen Mother in 1981. A sundial in the front garden records her visit in Latin verse. Luxmoore became the second girls’ house in 1991. Luxmoore is twinned with Linacre and Meister Omers. Notable former members of Luxmoore include the supermodel Jacquetta Wheeler. 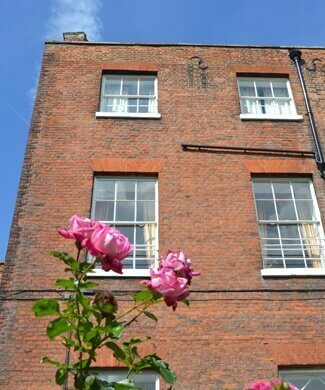 Located in the heart of the School behind Shirley Hall, Walpole House is an 18th century building which incorporates remains of the medieval Archbishop’s Palace. Tradition has it that the tree within the peaceful garden has been there since the time of Thomas Becket. 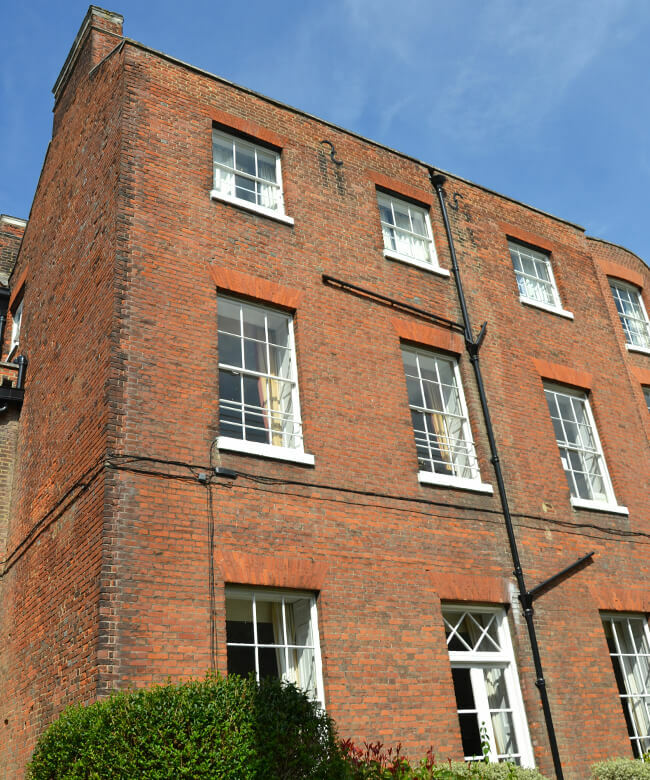 Named after the novelist Sir Hugh Walpole (KS 1896-98), Walpole became the first 13-18 girls’ house when the school became fully co-educational in 1990. Walpole is twinned with The Grange. Notable former members of Walpole include Philip Ardagh (children’s author), and Frances Houghton (Olympic rowing silver medallist at Athens 2004 and Beijing 2008).